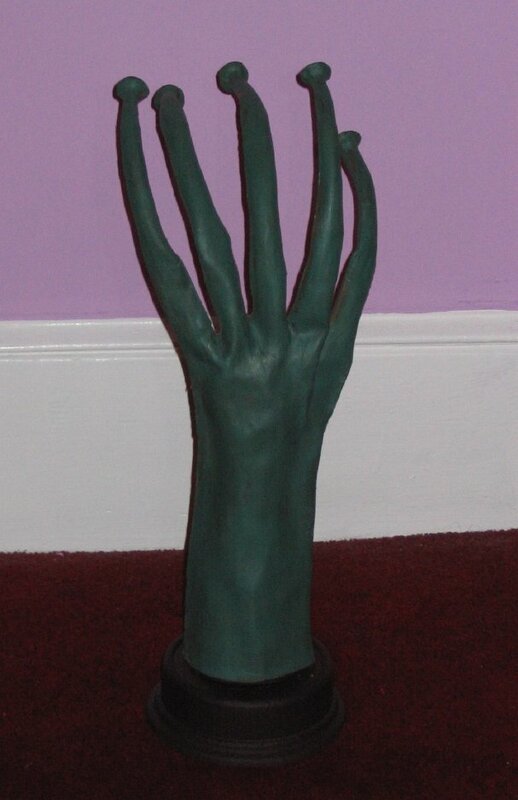 This is a hand for the costume of the Rodian creature, Greedo, used in Star Wars: A New Hope. It surfaced years later from Stuart Freeborn's creature and mask shop. 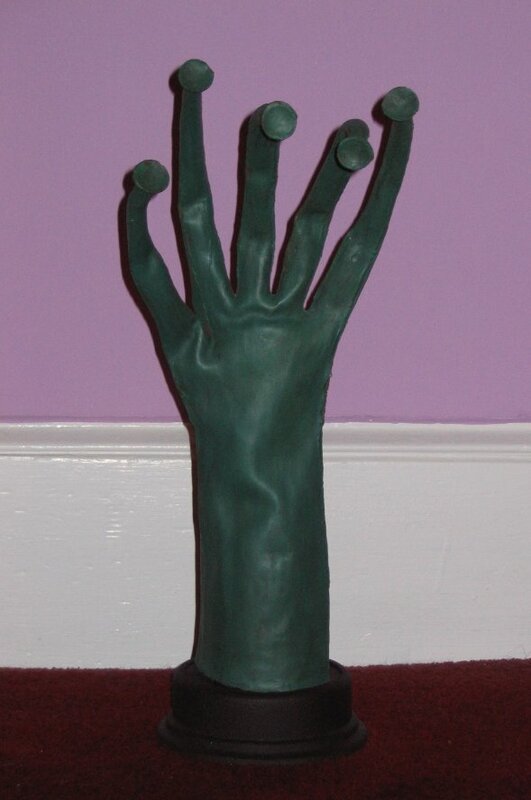 The hand is made of latex and looks like an elongated cleaning glove. The fingers all have suction cups on the tips. This simple design gave Greedo the alien form that was needed in the 1976 filming of Star Wars.